Finally the autumn comes and fashion girls have already started their pursuit of chic autumn look once they sense the new season. 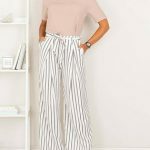 Have you ever noticed the phenomenon that those fashion celebrities have started their stylish look by matching wide leg pants with sweatshirts? 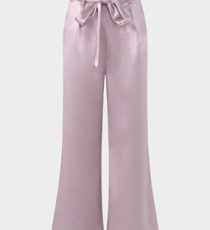 It looks perfect when you match no matter the formal style wide leg pants or sports style wide leg pants with sweatshirts and you can see no violation at all. Meanwhile by wearing wide leg pants you’ll look much taller than you’re and also more like a teenager girl. 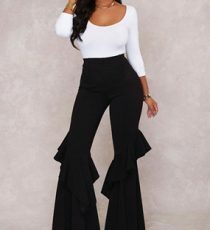 Now let’s see the most trendy wide leg pants of this season. 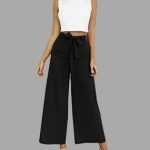 Many people may think that it will look more mature when wearing wide leg pants, while the truth is that this is all misunderstanding. 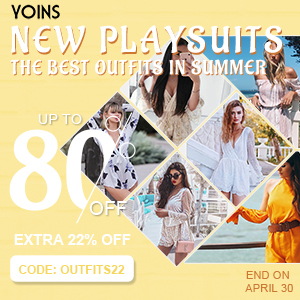 By choosing the suitable wide leg pants with some young items you’ll look like a teenager instead. This active sports pants feature wide cut edge, high-rise waist, rivet and split design. Match with a sports vest or sports bra and you will be the perfect chic model in the street fashion of this autumn. Take it back to the stylish with these active wide leg sports pants. Featuring deep side slit design and contrast color for style and fashion. Designed to keep you cool during all the seasons, especially in this autumn. 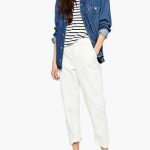 A pair of striped pants with tie is what your wardrobe is calling for! It is perfect for autumn nights on the town. It features a lightweight fabrication, regular fit and invisible zipper closure back. Style it with a crop and for a fun party outfit. 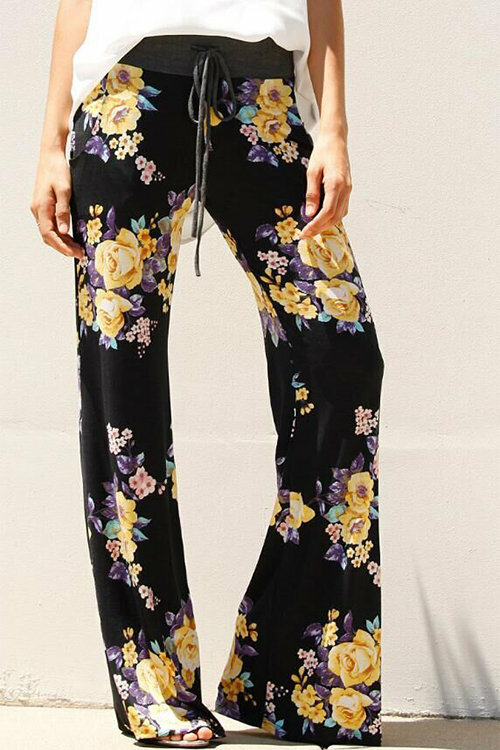 This casual pants is the current obsession and it is a must have item. 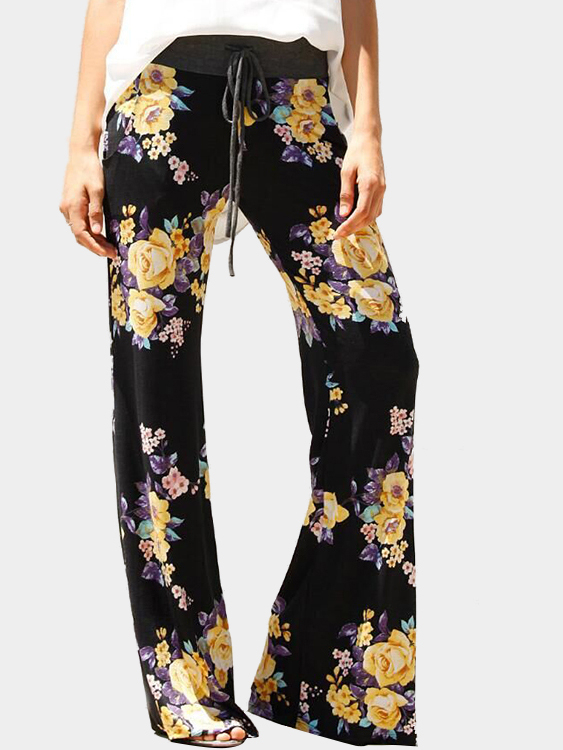 It features floral print, self-tie in waist and wide leg design. Team it up with crop top or shirt will be great. 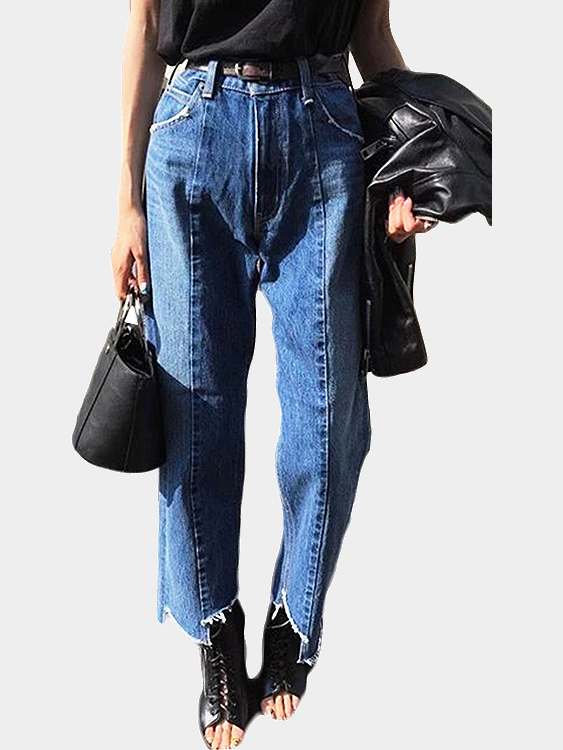 This jeans definitely won’t disappoint you no matter style with crop or tee. 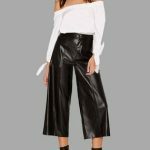 With high waist design, asymmetric trousers bottom and ripped details, it is perfect to show your figure on street look. 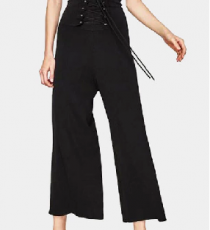 For more wide leg pants suggestions, you may check here.